Dillon Dance Youth are looking for exceptional young dance talent for our youth companies Summer term in partnership with Sutton Dance Academy. If you are aged 14-19 and are interested in pushing your contemporary dance technique and perform at a high level then we want to hear from you! 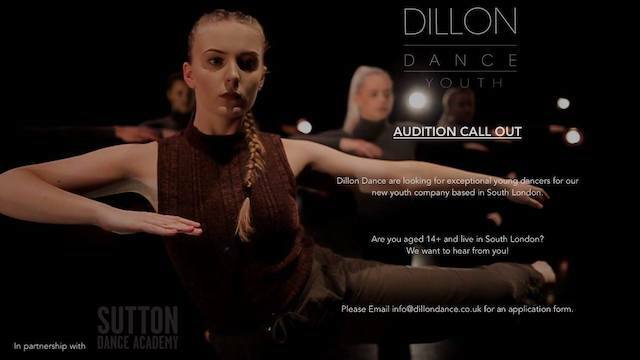 Please email info@dillondance.co.uk for an application pack.